We are able to supply turf for all other applications "through the green", from fine fescue to harder wearing ryegrass varieties. 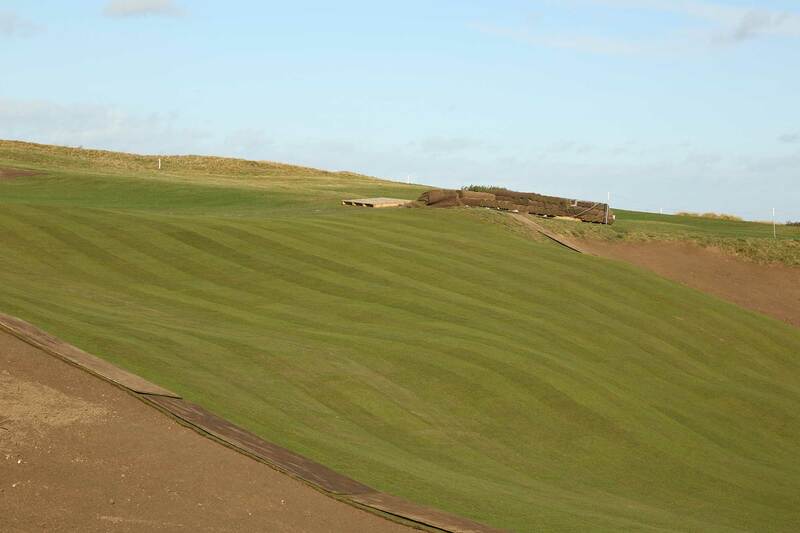 Our golf products are grown on carefully selected fields with free draining soils to ensure compatibility with most soil types and other site specific environmental conditions. 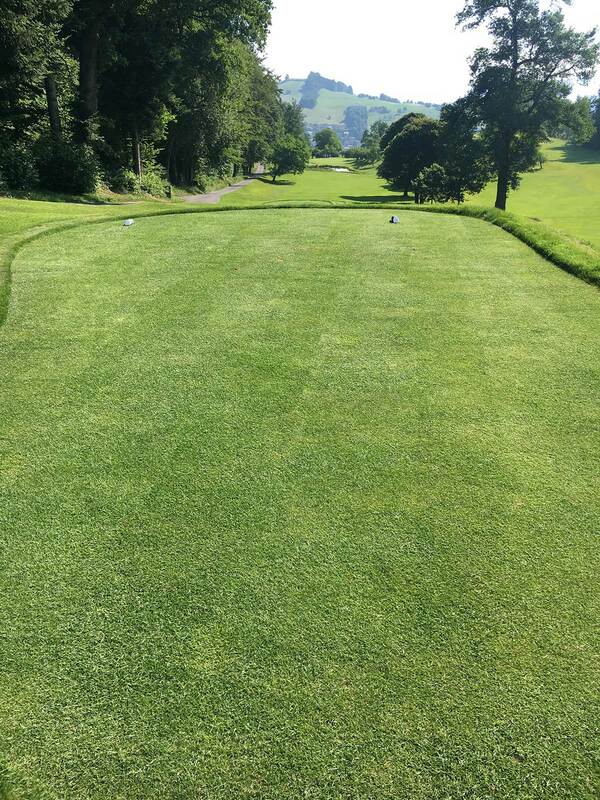 The durability and adaptability of our Golf Arena Turf gives it broad spectrum of uses throughout the golf course and is particularly useful in areas subject to heavy wear and tear. The blend of dwarf perennial ryegrasses, coupled with the rhizomatous characteristics of smooth stalked meadowgrass and creeping red fescue ensures the strength, colour and density of sward expected of this high quality turf product. 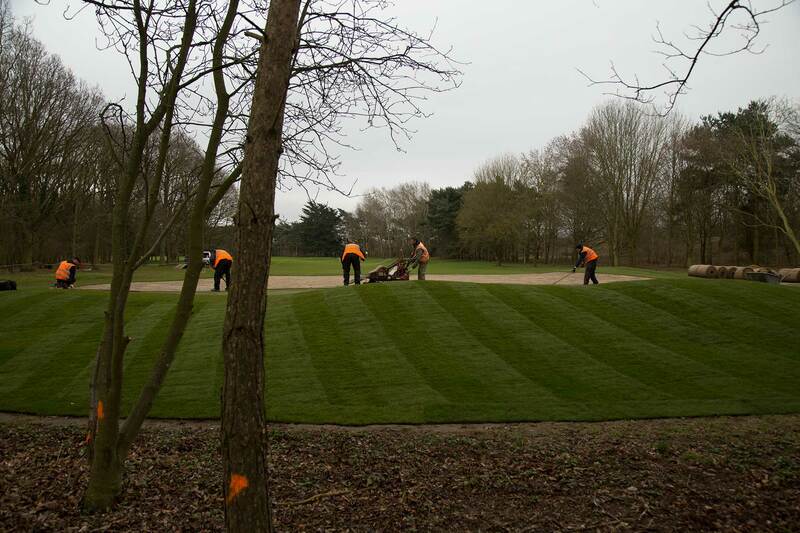 The multiple, carefully selected cultivars within the mix should ensure compatibility with most growing mediums and environmental conditions encountered on golf courses throughout the UK and Northern Europe. 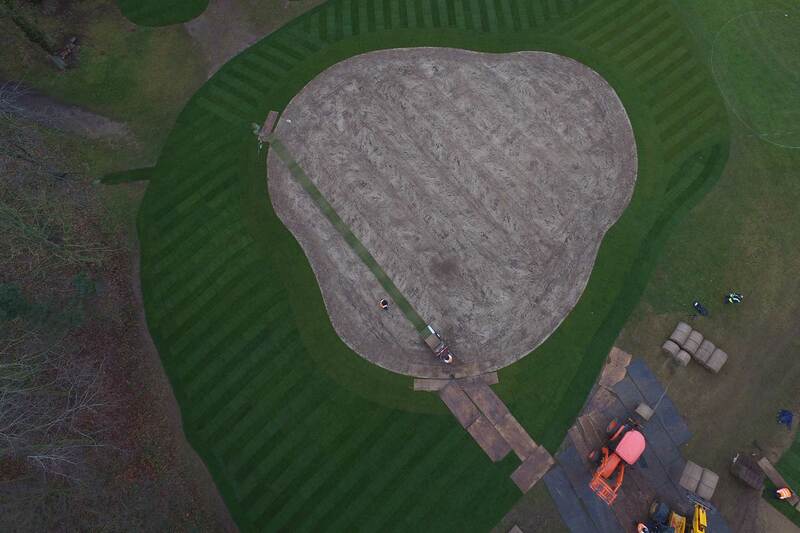 We carefully select from our freer draining fields to produce our Golf Arena. Our Arena Gold Turf blends the finest perennial dwarf ryegrass and fescue cultivars to produce a hard wearing product with a fine leaved appearance. Grown on our light, sandy loam, indigenous soil this turf is compatible with most soil types. An ideal choice for areas subject to wear on the golf course and in particular high quality tees. 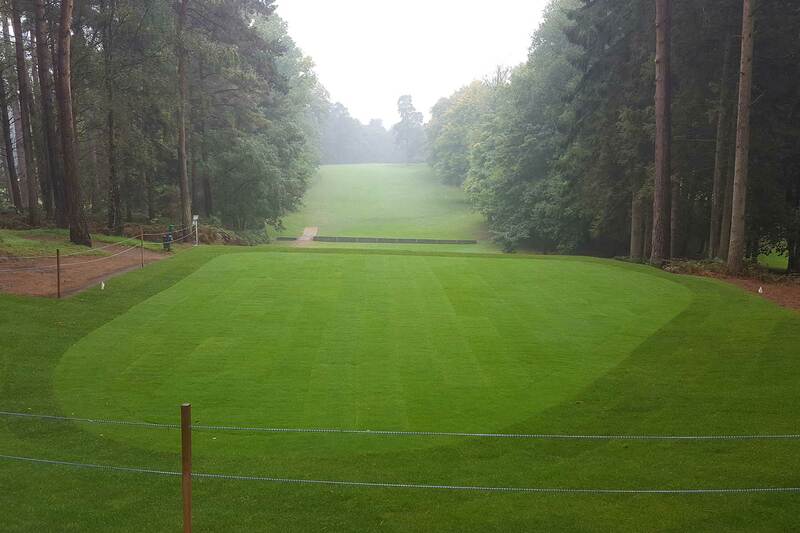 We developed Arena Gold Shortcut Turf, following numerous requests from course managers, to negate the challenge associated with quickly reducing height of cut on newly laid turf to a playable level. The close mown, dense sward ensures faster establishment and a quicker passage to play than our standard Arena Gold product. Mown to a height of 14mm, up to five times a week, as opposed to our standard Arena Gold which is mown at 19mm. Grown on our indigenous sandy soils and under the management of our team of highly qualified greenkeepers. Our Fescue Turf is used for many applications on a golf course but is most suited for links and heathland environments, where this fine leaved species naturally thrives due to the generally sandy soil characteristics. During production we select only free draining fields with the highest sand content, the perfect environment for fescue to flourish and survive. Cultivar selection is based on certification of high germination rate, purity and independent physiological tests. Due to the rhizomatous nature of the creeping fescue varieties both moisture and nutrient input are strictly managed to ensure any accumulation of thatch is kept to a minimum. 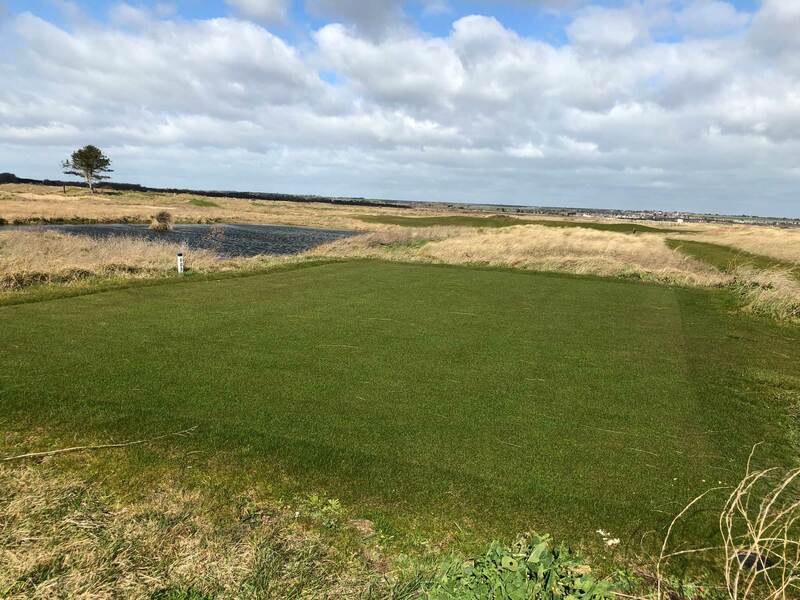 Ideal for bunker tops, alongside our Heather Turf to increase diversity, and low maintenance areas where a more naturalised "Wispy Rough" effect is required. Mown to a height of 13mm and boxed off, using dedicated fairway mowers, to ensure a clean, dense sward at the point of harvest. 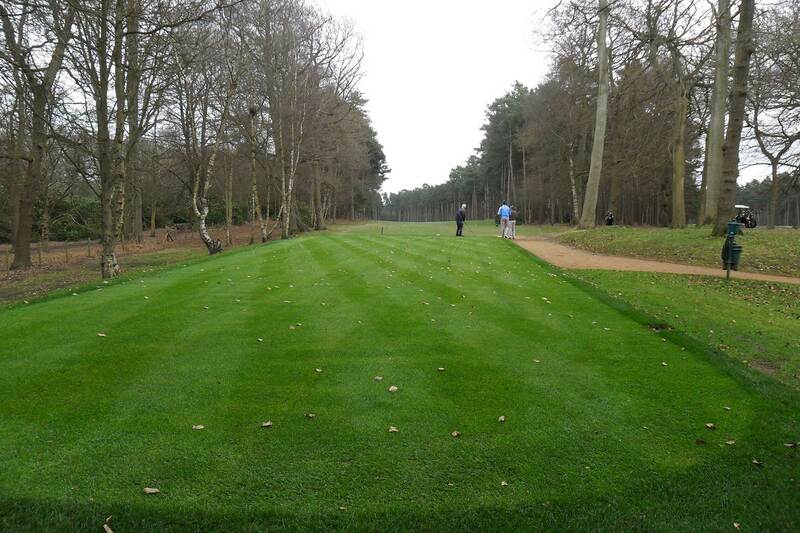 Production is managed by highly qualified and experienced greenkeepers. Our Fescue Bent Turf grown on light, sandy, indigenous soil is ideal where a fine leaved appearance is desirable without the use of perennial ryegrass. Regularly mown, to a height of 13mm, the clippings are removed to create a fine dense sward with minimal accumulation of organic matter. Nutrient and moisture levels are managed throughout the process to minimise thatch. The product is inspected for Poa Annua and hand picked to ensure the harvested product is virtually free of this species during harvest.